UR Club Field Hockey during a practice at the field house. After many months of hard work and meticulous planning, UR Club Field Hockey, which sports a roster of around 40 players, recently gained official club status. 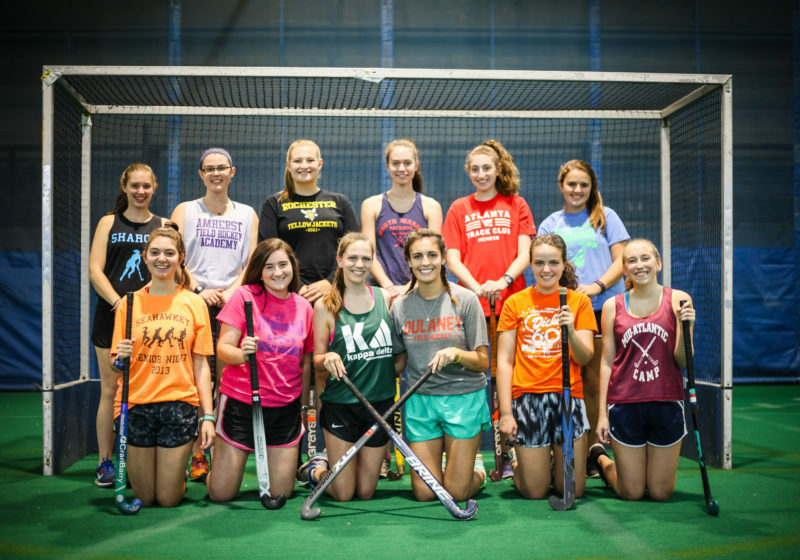 The rapidly growing group, composed of both experienced and beginner field hockey players, is centered around skill development and the love of the game. For many field hockey players, including sophomore Adina Levitt, opportunities to continue playing the sport after high school are limited, especially for those unable to commit to playing on a varsity team. Levitt, president of UR Club Field Hockey, fell in love with the sport when she began playing in ninth grade and faced this dilemma upon graduation. 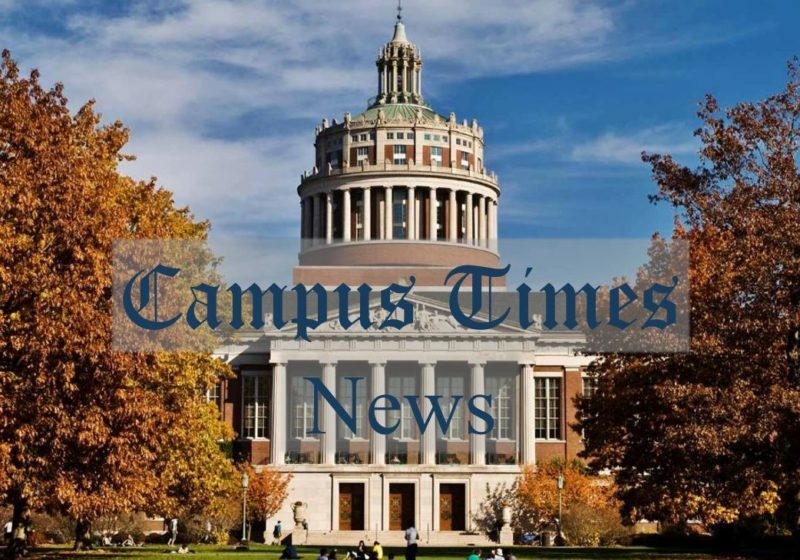 Upon being accepted into the school in the spring of 2016, Levitt began posting about the possibility of starting the club on her class’ Facebook group, attempting to gauge interest and see if it would be feasible. A few people that had also played in high school sent her messages expressing their interest, which prompted her to take the first steps in starting the club. Levitt was working independently in the fall of her freshman year when she came in contact with Griffin LaDew, the club sports advisor, who began to walk her through the process of creating the club. 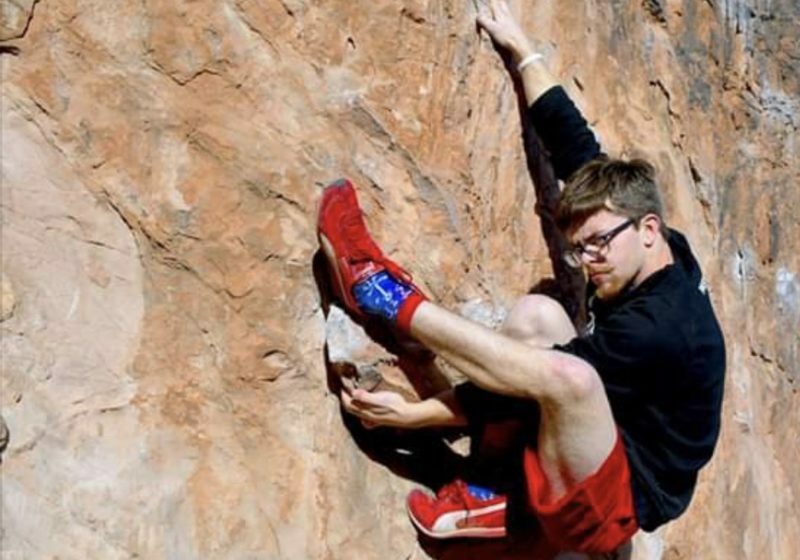 All new clubs must complete online paperwork, draft a mission statement, create social media pages, and write a proposal for a committee that grants clubs preliminary status. It was then that Levitt formed an executive board, composed of students with similar field hockey backgrounds to hers. “I knew I needed a strong leadership support team of committed members who could help me in the long process,” said Levitt. Along with Levitt, sophomores Hannah Barnhart, Victoria Bongard, Quinn Murphy, and Sierra Prior made up the executive board, who decided on the club’s original short- and long- term goals and equipment needs. Murphy and Prior became the team’s co-captains with Bongard and Barnhart taking on the roles of business manager and secretary. As the fall semester wrapped up, the board focused on building the foundation of the club at weekly meetings. To earn preliminary status and eventually become an official club that holds practices, a certain number of players needed to commit to the team. The group focused on recruiting players at general interest meetings and promoting on social media in order to move closer towards reaching their final goal. “There were times where I felt the number of interested players wouldn’t be enough to start the club, but I knew we just had to keep pushing,” said Levitt. Practices began in the spring semester, and despite initial doubt from the team’s leadership, the club gained official status in April. This fall, the club has continued to hold practices twice a week – each with about 16 players in attendance, with a significant number of them being freshmen. “Our practices consist of running, conditioning, drills to build skills, and scrimmaging,” Levitt said. The team hopes to compete against local teams this semester and is currently working on setting up a scrimmage with RIT. In the spring, plans include joining an indoor league alongside local varsity and other club teams. Until the team has been official club for a full year it will not receive funding, so member dues are relied upon to cover costs. Spare equipment provided by UR’s varsity team and a supplementary new club sports fund provide additional support for the growing organization. Levitt cites the support of her co-executive board members and her passion for the game as the driving forces in the continuous growth of the club. 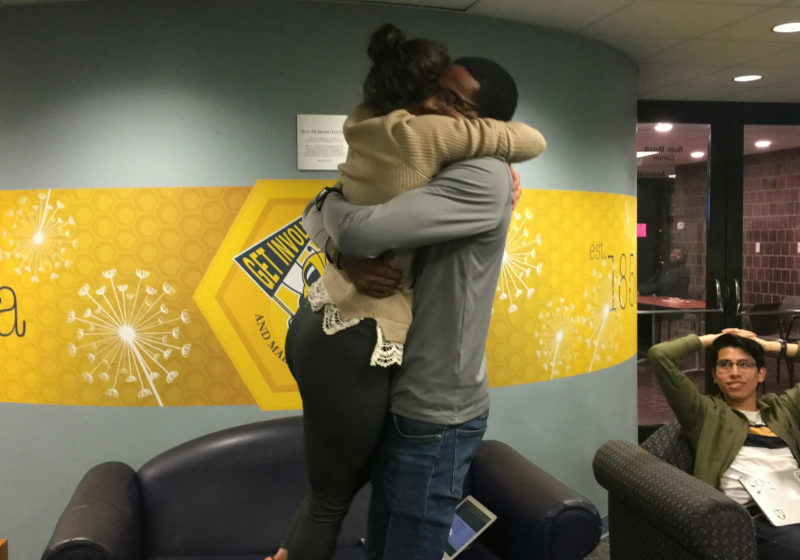 Jamal Holtz and Anne Marie Cortes shed tears as they hugged each other and the supporters in the room.